Monday can be hard enough with the work and/or a school routine, waking up early and realizing you have the whole week ahead of you. To counter the pressures of Monday obligations I thought of what I'd want to wear to make the getting-dressed portion a big easier. I feel qualified to give advice about this because as a working mom my goal every day is to try and look put together but still comfortable in something I can wear all day! 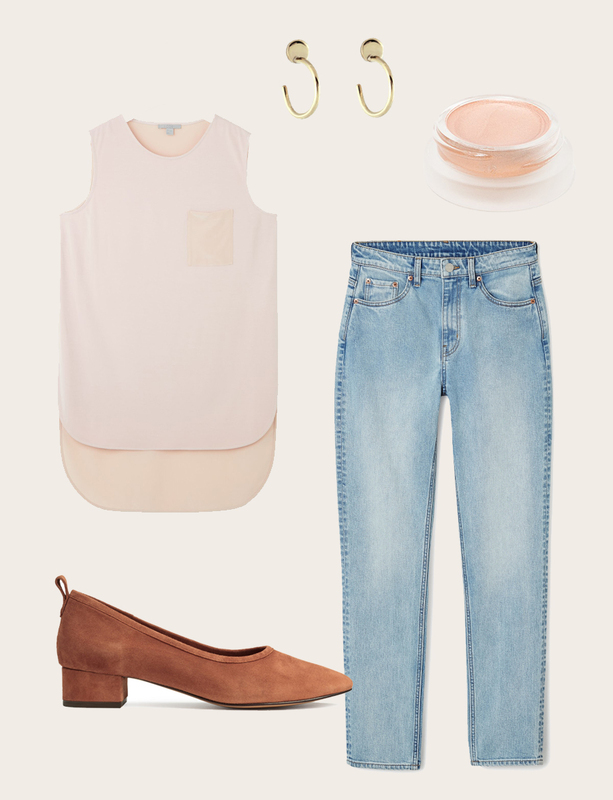 Ankle grazing jeans are what I usually slip on to keep it simple and comfortable, a sleeveless silk top to show off a bit of Summer color you've gained from weekends or vacations in the sun, low suede heels that you can walk all day in, a delicate pair of earrings and some easy sheer cream eye shadow to wipe on and go. What are some of your favorite wearables that make you feel good but last for a long, demanding day?